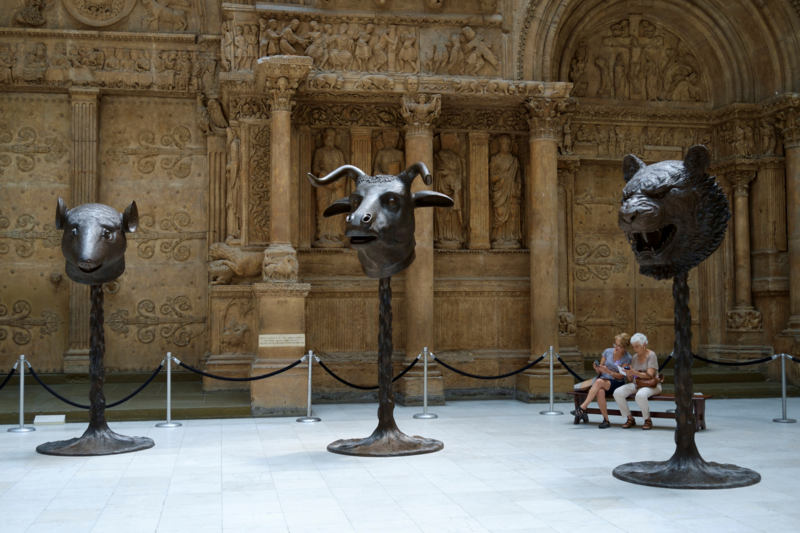 The massive bronze heads of a rat, an ox and a tiger are part of Chinese contemporary artist Ai Weiwei's "Circle of Animals / Zodiac Heads" exhibit at the Carnegie Museum of Art this summer. Eric Shiner, director of the Andy Warhol Museum, spoke on Essential Pittsburgh about the Ai Weiwei exhibit as well as the Do It Yourself: Sailboats piece by Andy Warhol. He also described some of the challenges facing traditional cultural institutions and how the Warhol is adapted to changing visitor demographics. A dozen monolithic sculptures by the acclaimed Chinese artist and activist Ai Weiwei are on display at the Carnegie Museum of Art this summer. Visitors to the museum's Hall of Architecture can stand in the shadows of the larger-than-life statues of "Circle of Animals / Zodiac Heads," which officially opened on Saturday. Each of the 12 bronze statues weighs between 1,500 and 2,500 pounds, and each depicts the head of an animal of the Chinese Zodiac. Catherine Evans, the museum's chief curator, said Ai was interested in the potential "mash-up of cultural histories" offered by inserting the Zodiac Heads into the Hall of Architecture. "This opportunity to put these Chinese resurrected, reimagined casts set against these historic European casts was quite irresistible," Evans said. The hall also features a cast of the facades of cathedrals, classical statuary and other Western art from various periods. Evans said Ai's bronze sculptures are based on a similar set that stood outside a historic Chinese temple that was destroyed by the British in the Second Opium War in the 19th Century. 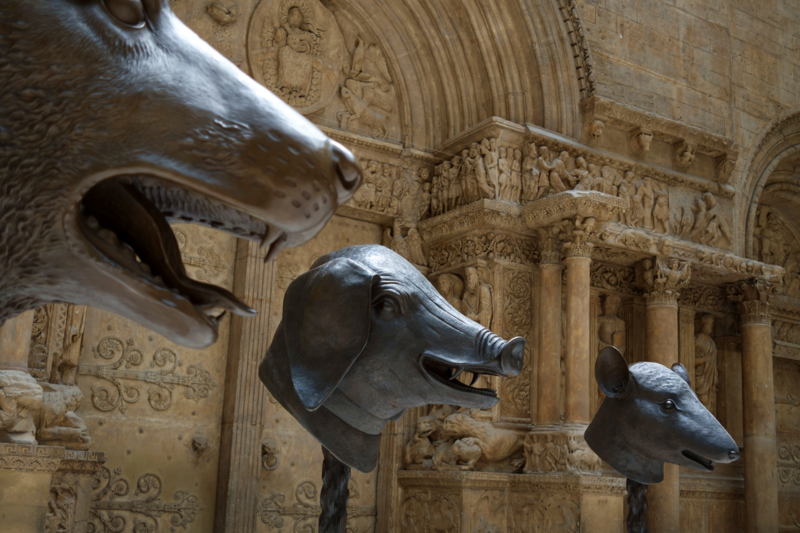 The monolithic bronze heads of a dog, a pig and a rat are themselves dwarfed by a cast of the façade of a French cathedral at the Carnegie Museum of Art in Oakland. "The looting and pillaging of cultural histories and artifacts is something that Ai Weiwei is very concerned with," Evans said. Evans said Ai originally intended to bring the sculptures to Pittsburgh in 2011, but was detained for months by the Chinese government before those plans could be carried out. Evans said Ai may be the most well-known artist working today, "but he's also a huge activist and advocate for, right now, the rights of refugees. So, he's very visible, not just in our smallish art world, but really globally." The Carnegie Museum of Art exhibit, which wraps up Aug. 29, will complement a large exhibit of Ai's work at the Warhol Museum that is slated to open on June 3. 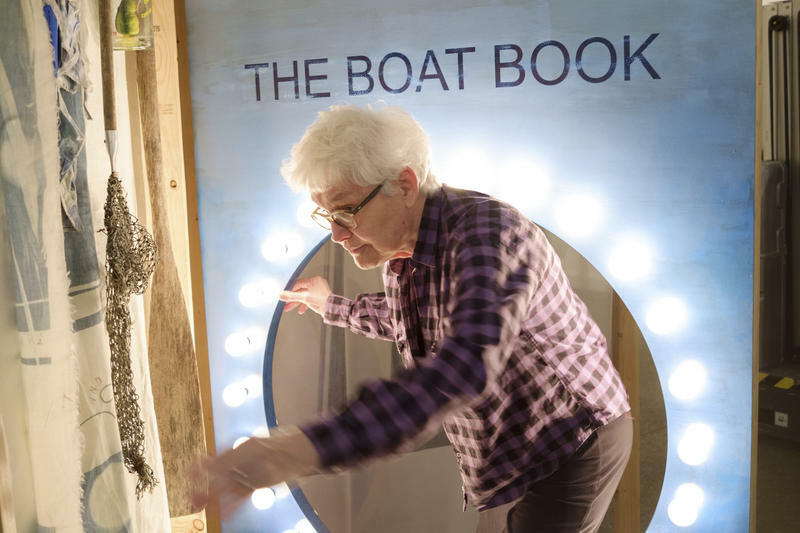 Alison Knowles handles a "bean turner," an interactive art piece of her own creation, made of a stiffened cotton tube that’s filled with beans – reminiscent of a rain stick. She's encouraging visitors of her upcoming exhibit at the Carnegie Museum of Art to pick up the bean turner and see what kinds of sounds they can make with it. While they're there, guests can peruse a variety of pieces gathered from across the octogenarian's five-decade career, which first began flourishing in the Fluxus performance art movement of the 1960s and '70s. The Living Need Light, The Dead Need Music is a new video exhibit opening at Pittsburgh's Carnegie Museum of Art on Friday. 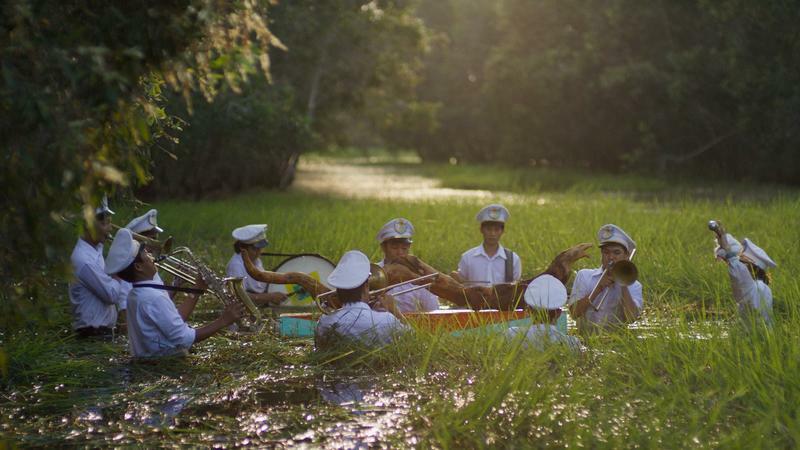 Created by the artist collective The Propeller Group, the lush film both documents and stages funeral traditions and public wake ceremonies in South Vietnam. Peter Muller-Munk, a German immigrant to Pittsburgh, rose from being a relatively obscure silver smith to one of the top designers of consumer products in the 20th century. 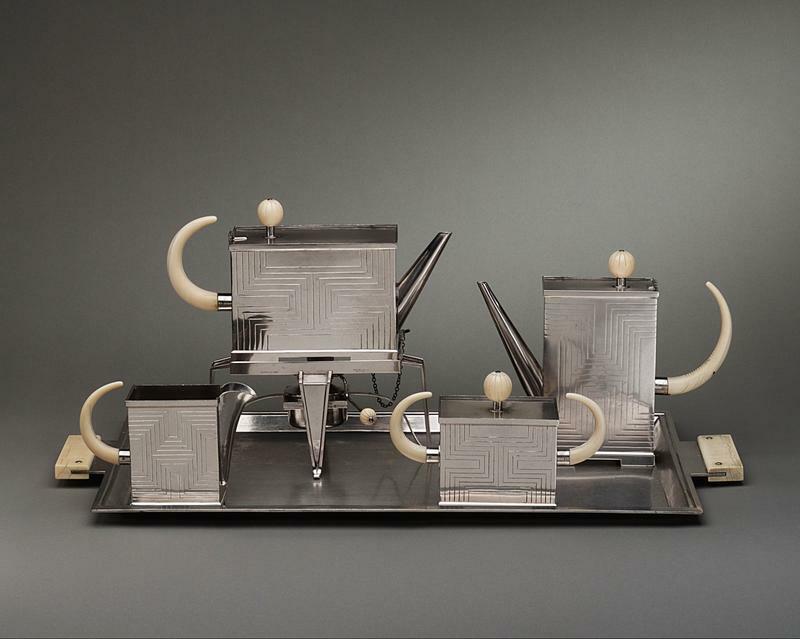 The Carnegie Museum of Art will be telling his story in a new exhibit titled “Silver to Steel.” Rachel Delphia, co-curator of Silver to Steel, joins us to talk about the exhibit and the works of Muller-Munk.